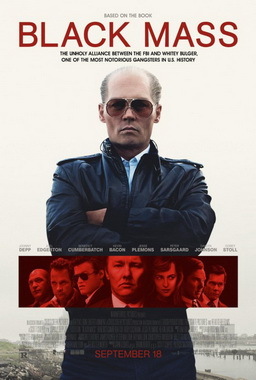 Black Mass, directed by Scott Cooper, based on a script by Mark Mallouk and Jez Butterworth , is a somewhat fictionalized depiction of the criminal career of James “Whitey” Bulger,a gangster who controlled much of the crime in Boston during the 1980’s and early 1990’s. Bulger (Johnny Depp) is approached by an FBI agent, John Connally (Joel Edgerton), who tries to get Bulger to become an informant. Bulger refuses at first, but Connally persuades Bulger that he should view this as an “alliance” to destroy a criminal mob that Bulger has been feuding with, and which the FBI wants to break up. Bulger gets his lieutenant, Stephen Flemmi (Rory Cochrane) to reluctantly go along with this. 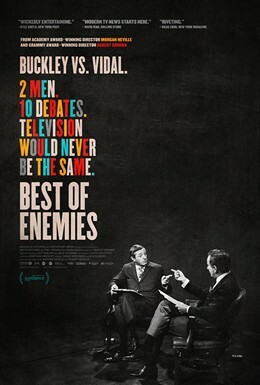 As time goes by, Connally becomes increasingly involved with Bulger’s criminal activities. This film benefits from strong performances, particularly from Depp and Edgerton. And it has a gritty feel that captures the flavor of Boston. However, it was a lot like other gangster films I have seen. There were moments in it that reminded me of Good Fellas. This may be due to a failure of imagination on the part of the film’s makers, or maybe there is really only so much that can be said about organized crime. Black Mass also takes a many liberties with the facts. Flemmi, for example, is made out to be a nicer person than he was in real life. In the film, Flemmi is repulsed by the murder of his stepdaughter, but in real life he willingly took part in it. (It was also Flemmi who persuaded Bulger to become an informant, the opposite of what is depicted in the film.) I can only guess that the that film’s makers wanted to make Bulger the center of evil in the story. The truth is that he was surrounded by people who were as bad as he was. The definitive film about Whitey Bulger remains to be made.